Maryland's Eastern Shore in Worcester County in Ocean City & Ocean Pines MD have been a big part of my life since I was a teenager. My family’s countless memories of fun in the sun made at the beach in Ocean City and live in our hearts forever. One of the biggest highlights of my adult life was purchasing Ocean City MD Real Estate a waterfront Condo in Ocean City Maryland. I remember the fun of the search for just the right location, the qualification for financing and the anticipation of a pending settlement. I also remember my husband Don and I saying "What ARE we thinking?" and Jim, our Realtor re-assuring us with "If it doesn't work out I will sell it for you!" Turns out Jim did sell our first “second home” home so we could purchase our dream home to live here full time at the beach. We moved in 10 days after our youngest son graduated from high school and have never looked back and have not been disappointed. My family is very fortunate to live and enjoy all the benefits of living here on the Eastern Shore of Maryland and all the amenities that the Ocean Pines community has to offer. I have been assisting buyers and sellers since 2006 fulfill their real estate dreams at the beach. My clients love the fact that I have "been here/done that relocating to the beach" as it gives me a special insight and true appreciation for what they are feeling and going through and how best to assist them find their perfect spot at the beach. My clients and friends are very generous with the referrals of their family, friends and business associates and helped me build my business and start a new brokerage EXIT REALTY AT The BEACH. They are all special to me and as Broker I strive to insure their experience is always one of a kind. As a new Broker/Owner I will focus on the importance of a strong “Broker-to-Realtor Associate relationship which is critical to building a strong brokerage family environment, agent success and retention. We’re not so large that you’re not going to get the attention from me as a LOCAL Broker which will allow us to raise the bar in services provided to our agents & real estate services you will receive. 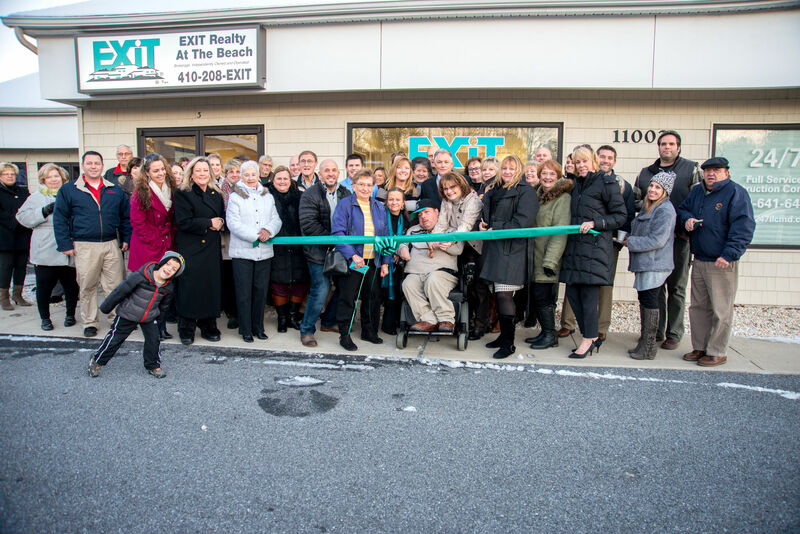 EXIT Realty agents are professional, educated full time REALTORS® with the professionalism and confidence to sell, negotiate and build relationships within their communities. They strive to provide Safe Passage and make your "EXIT-to-the-Beach" a one-on-one personal and successful experience. Whether you are buying or selling a home, hire us, REALTORS who loves the Eastern Shore as much as you do and will work hard to earn your business. Whether you are looking for your right spot at the beach or need to find a buyer for your beach spot let us help you make your dream a reality. I invite you to contact EXIT Realty At The Beach to assist you with this important transaction. Please browse my website for listings, reports and important local real estate information. Feel free to call me anytime @ 410-629-9070 or TEXT #85377 with Bernie in message for Business Card and FREE Ocean Pines Real Estate & Ocean City Real Estate information. Check out my blog every week for current real estate news local monthly statistics and current events here at the beach. Congratulations Bernie! You are such a wonderful Broker and Realtor!